The Bissell BG100 ProTough upright vacuum has a see-through fan chamber on the underside of the head. Overheating is prevented with V-shaped motor vents and an overload protection system. A reinforced fan keeps the motor cool during use. 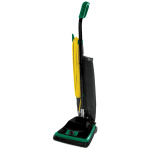 Its 12-inch cleaning path covers a wide area to ensure messes are fully cleaned. 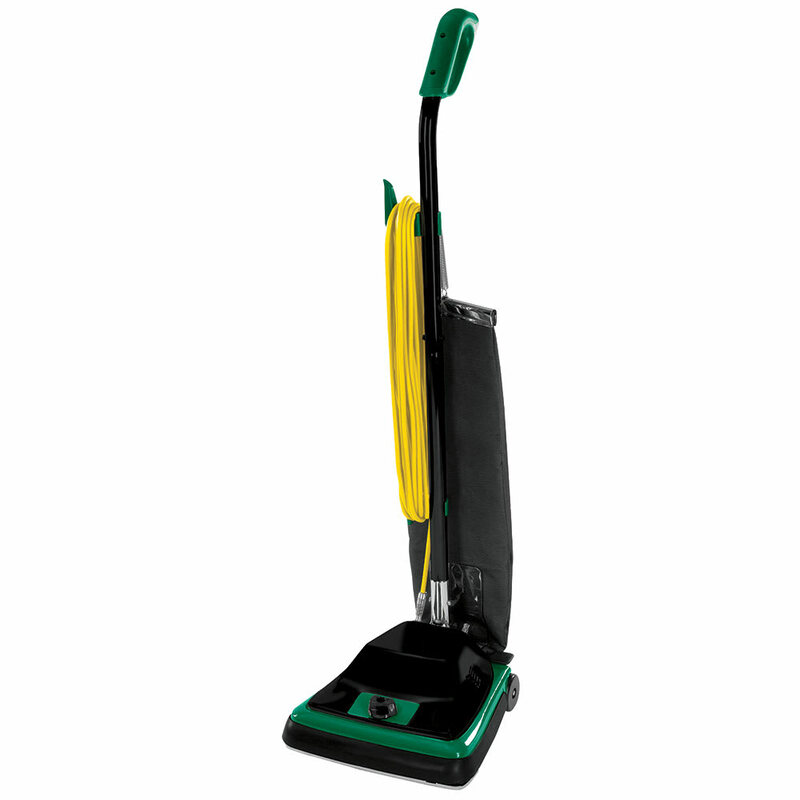 This unit has six manual carpet height adjustments so you will achieve an ideal clean for virtually any carpet type. Debris and dirt are collected in a non-stick, shakeout cloth bag that is easy to remove and replace. A 50-foot power cord allows the unit to clean a 100-foot area. Large wheels make moving the vacuum on surfaces simple, and its 13.5-pound weight is light for transportation. 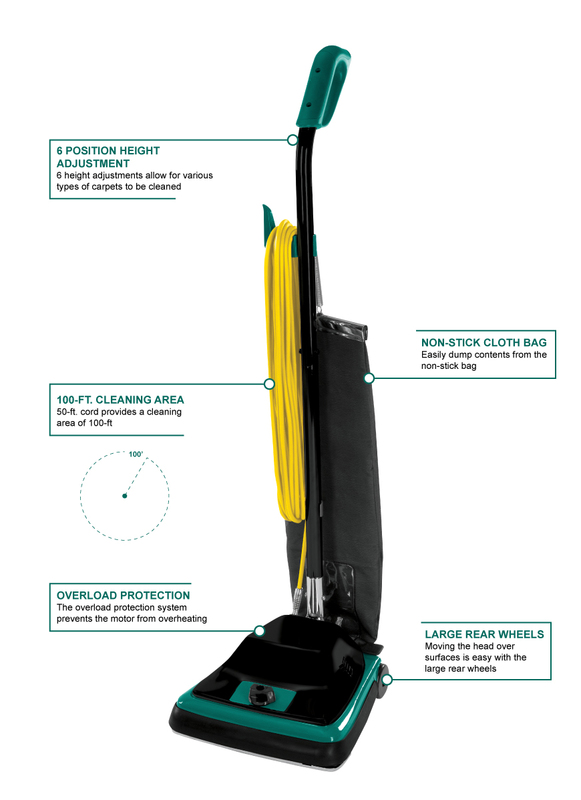 The Bissell BG100 ProTough upright vacuum has an aluminum roller brush that is durable and resistant to corrosion.